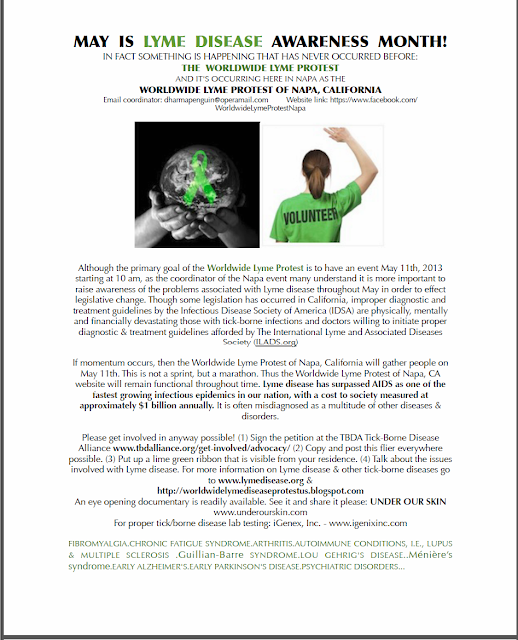 Worldwide Lyme Disease Awareness Protest in Napa California | What is Lyme Disease? Please join our Napa Ca Worldwide Protest Page! We are looking for a local assisting coordinator to assist Mary in planning. When: May 11th, 10 am – ? Connecticut Joins the Worldwide Lyme Disease Awarenress Protest!